"In Iraq...where Gilgamesh was written -- the oldest story in the world, a thousand years older than the Iliad or the Bible." I put off reading this classic, considered by many an essential read, because, well, tales told in verse intimidate me. Sometimes they leave me scratching my head, clearly not smart enough to "get" their meaning. Glad I finally went for it with Gilgamesh! Thankfully, Mitchell's translation/ adaptation is easily accessible. And I found the introduction particularly helpful. In the end, I just felt really sad for Enkidu *and* Humbaba. Perhaps I'll have a different takeaway on subsequent reads. 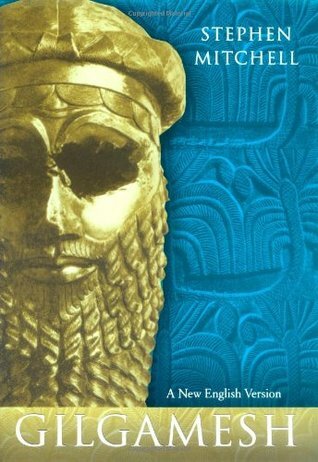 Sign into Goodreads to see if any of your friends have read Gilgamesh.